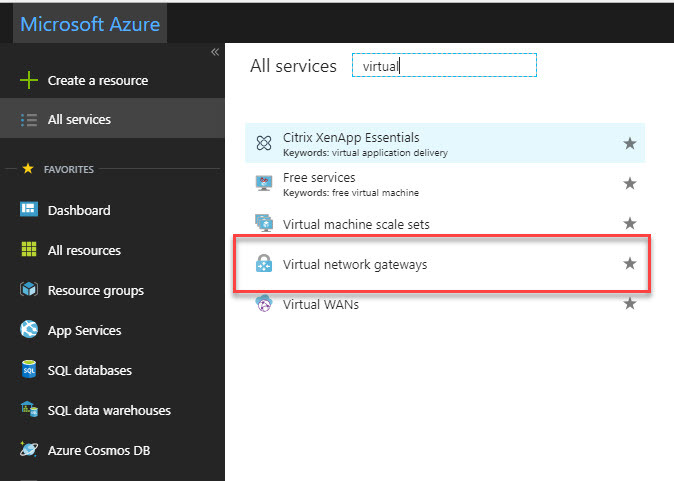 2) Go to All Services and search for virtual network gateway. Once it is in list, click on it. 1) Right click on root cert inside certificate mmc. 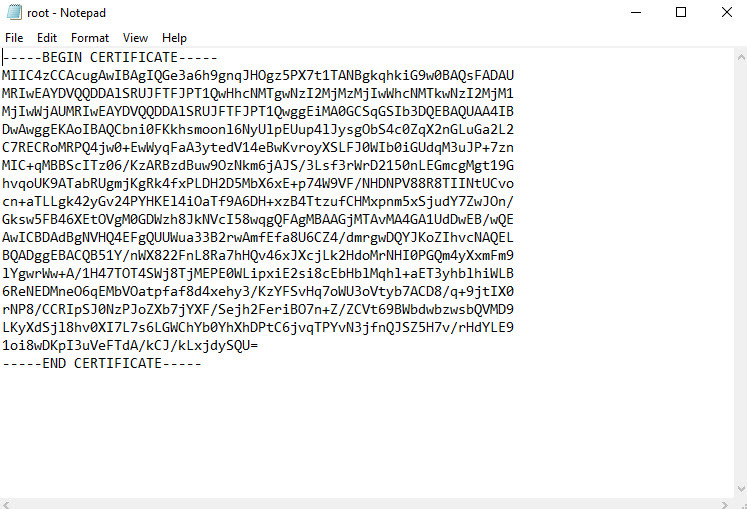 4) Select Base-64 encoded X.509 as export file format. 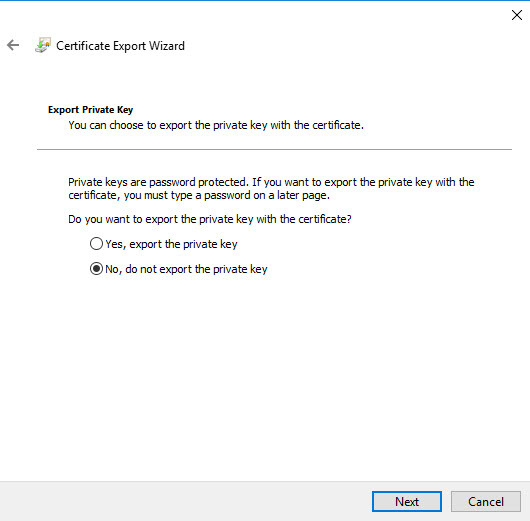 5) Complete the wizard and save the cert in pc. 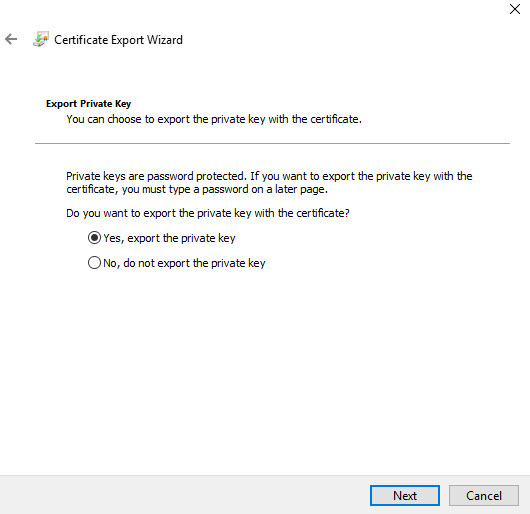 1) Use same method to export as root cert, but this time under private key page, select option to export private key. 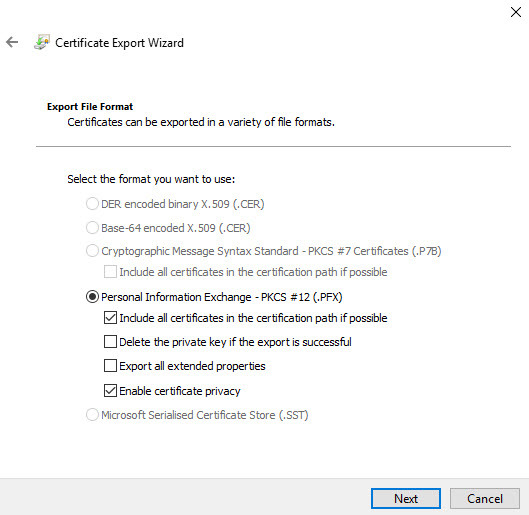 3) Define password for the pfx file and complete the wizard. 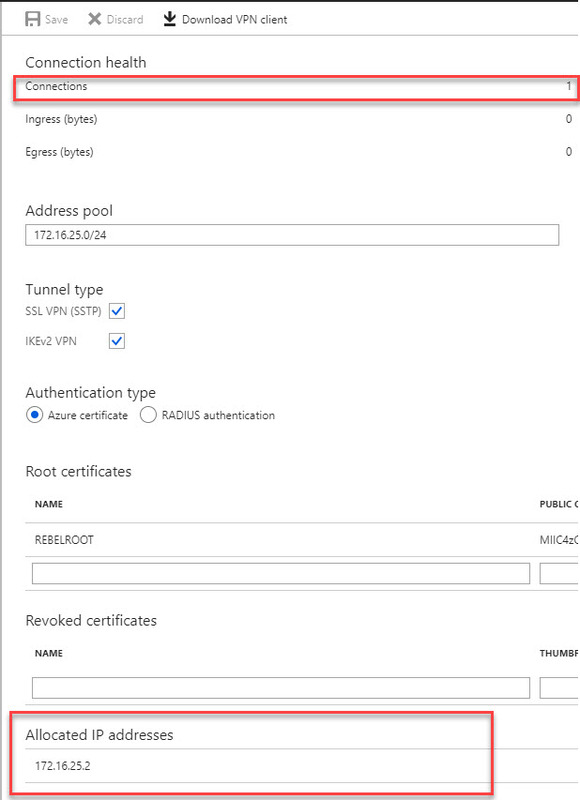 Only root cert will use in Azure VPN, client certificate can install on other computers which need P2S connections. 1. 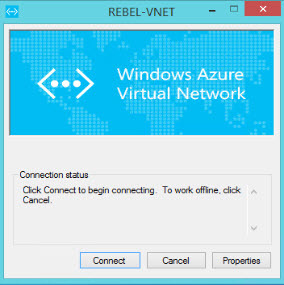 Click on newly created VPN gateway connection. 3. After that, click on Configure Now link. 4. In new window type IP address range for VPN address pool. In this demo I will be using 172.16.25.0/24. For tunnel type use both SSTP & IKEv2. Linux and other mobile clients by default use IKEv2 to connect. Windows also use IKEv2 first and then try SSTP. 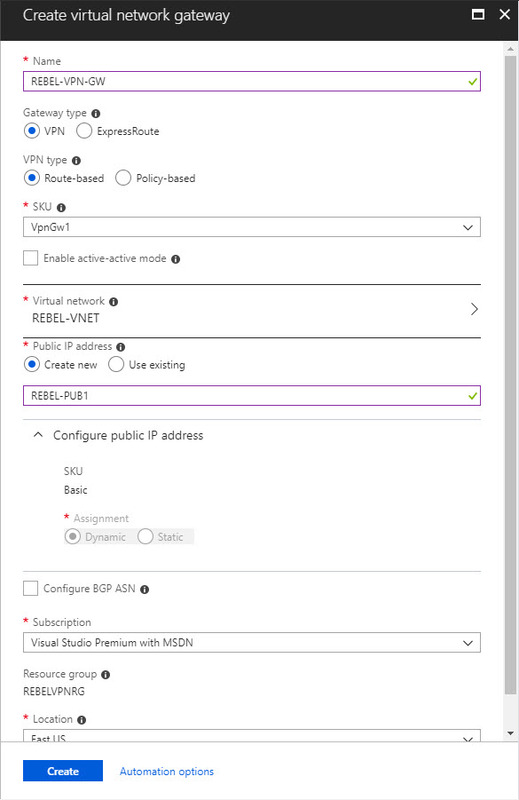 For authentication type use Azure Certificates. 5. 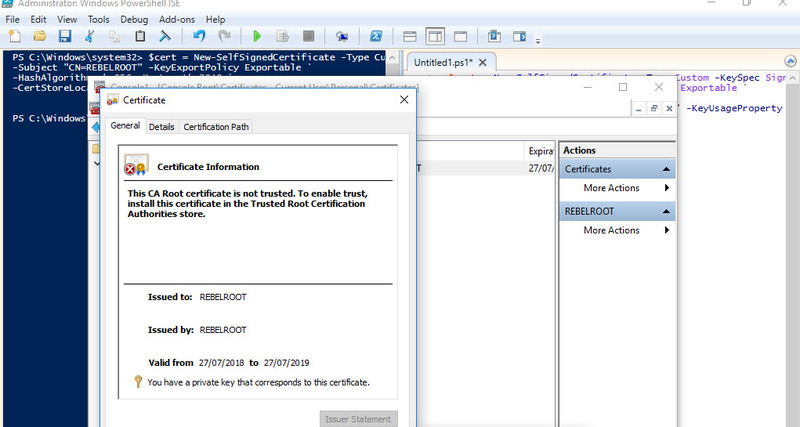 In same window there is place to define root certificate. 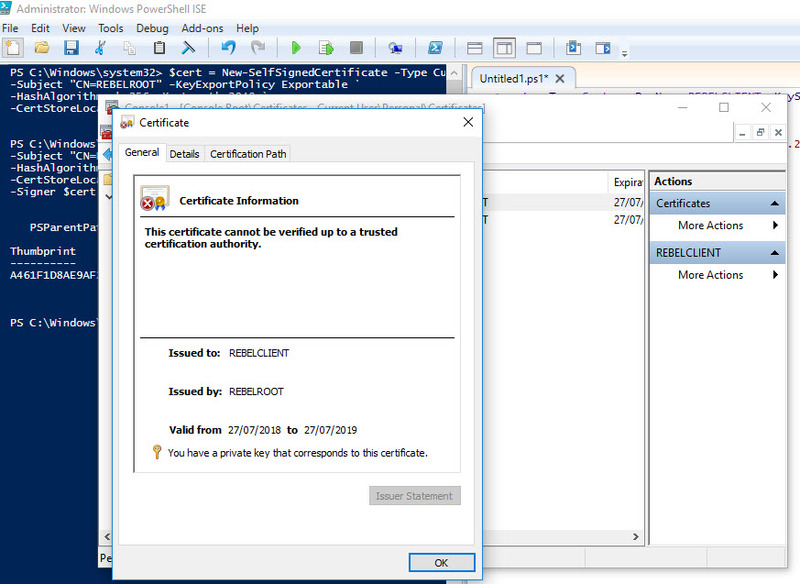 Under root certificate name type the cert name and under public certificate data, paste the root certificate data ( you can open cert in notepad to get data). 6. Then click on Save to complete the process. 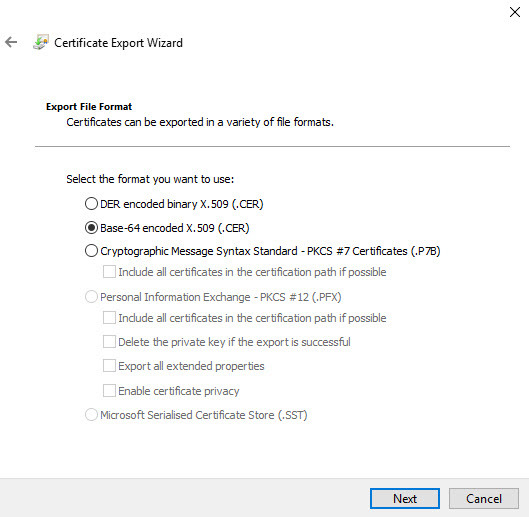 When you paste certificate data, do not copy —–BEGIN CERTIFICATE—– & —–END CERTIFICATE—– text. 1. 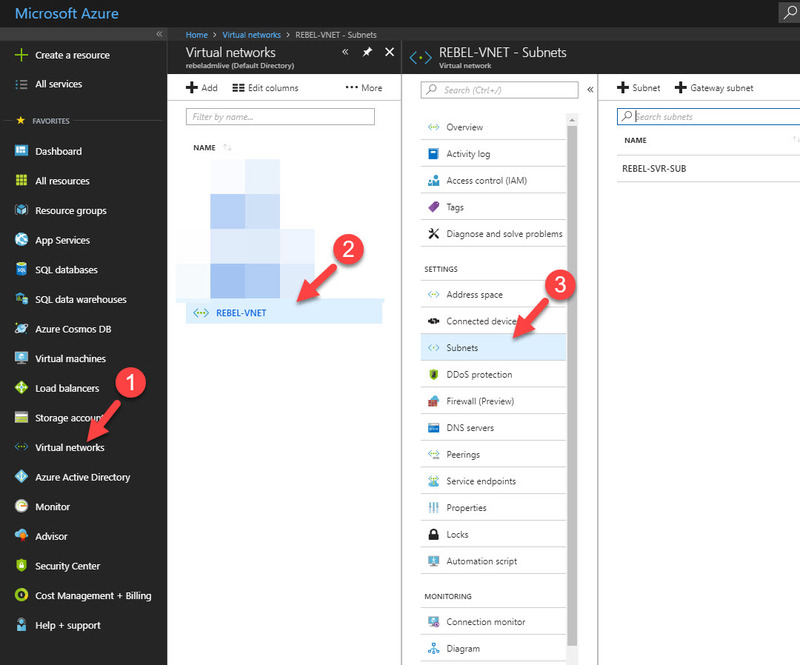 Log in to Azure portal from machine and go to VPN gateway config page. 3. After that, click on Download VPN client link. 4. Then double click on the VPN client setup. In my case I am using 64bit vpn client. 5. 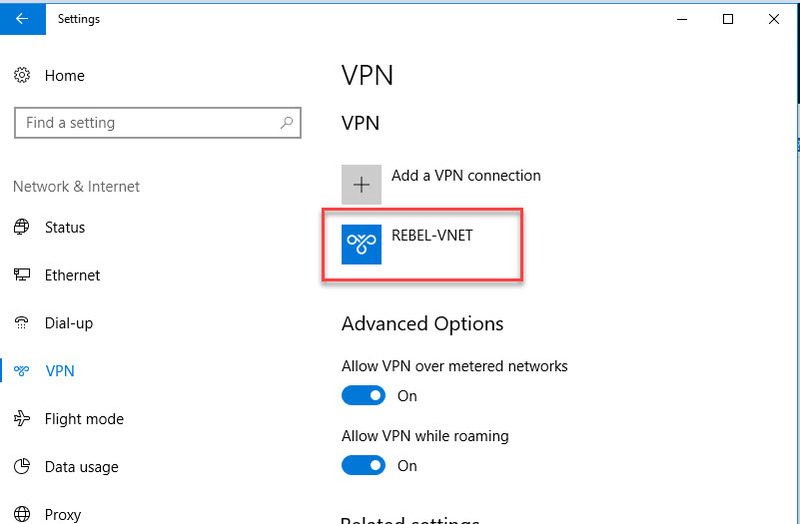 After that, we can see new connection under windows 10 VPN page. 6. Click on connect to VPN. Then it will open up this new window. Click on Connect in there. 7. 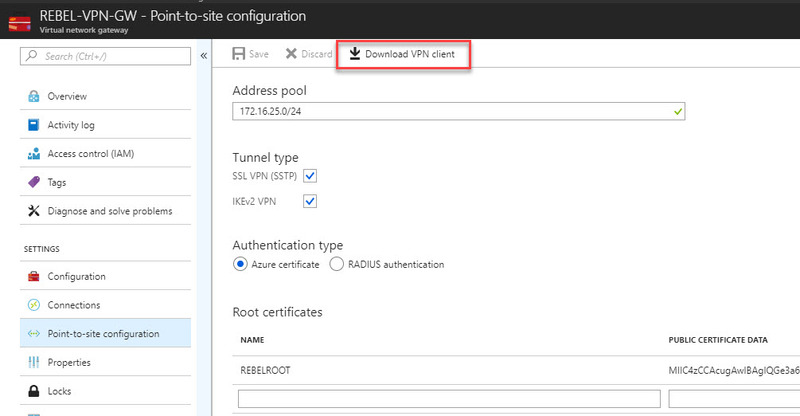 Then run ip config to verify ip allocation from VPN address pool. 8. In VPN gateway page also, I can see one connection is made. 10. As expected, I can RDP to this via VPN. This marks the end of this blog post. 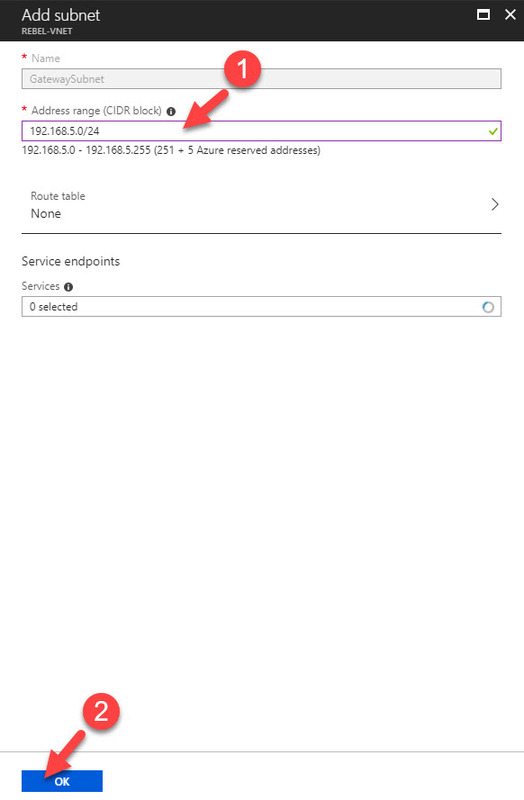 Hope now you have better understanding how to setup point-to-site VPN connection in azure. If you have any questions feel free to contact me on rebeladm@live.com also follow me on twitter @rebeladm to get updates about new blog posts.